It is well-documented that since 2001, American authorities have used overseas black sites and foreign data collection as legal gray areas for things that would clearly be illegal if done to US citizens on American soil. This practice increases the chances that officials who violate the spirit of the law — or even break its letter outright — will never be prosecuted in an American court. But such a widespread global operation requires the participation of other governments, and that is where human rights advocates may find new inroads. Foreign leaders and international courts have increasingly begun to step in to inform the public and hold the United States accountable for abuses. It gives hope that the United States itself will re-examine these practices and put an end to them altogether. A week prior to Obama’s comment, the European Court of Human Rights found Poland complicit in torture for allowing the CIA to hold and interrogate two detainees at the country’s Stare Kiejkuty military base. Officials believed the suspects — Abd al-Rahim al-Nashiri, 49, and Abu Zubaydah, 43 — were top Al Qaida operatives. Both men are still under indefinite detention at Guantanamo Bay. Stare Kiejkuty was just one of many secret black sites in Asia, Africa, and Europe where CIA detainees faced techniques like waterboarding, forcible stripping, mock executions, and stress positions, according to a 2005 Washington Post expose by Dana Priest and subsequent reports. But before the CIA could torture detainees, the US Justice Department had to bypass the laws meant to protect such suspects. Officials decided that American territories, including military bases, carry legal constraints that foreign soil does not. The agency and its contractors clearly wanted to be where they would have the greatest chance of impunity. They had to offshore. While the CIA sent its dirty work to places like Poland, Thailand, and Romania, the National Security Agency was able to find a way to circumvent American law from the comfort of its headquarters at Fort Meade, Md. The agency needs a warrant to target a US citizen or permanent resident, but it is free to keep and search any American data it “incidentally” collects during foreign surveillance. A recent Washington Post investigation based on a cache of ostensibly foreign NSA intercepts found that “nearly half” of the documents mentioned Americans. Nine out of 10 accounts mentioned in the files were not ones that the agency was targeting. The NSA is also allowed to share this incidentally collected American data with the CIA, the FBI, and the National Counterterrorism Center. According to a June report by the Office of the Director of National Intelligence, those agencies search Americans’ data thousands of times per year — all without a warrant. 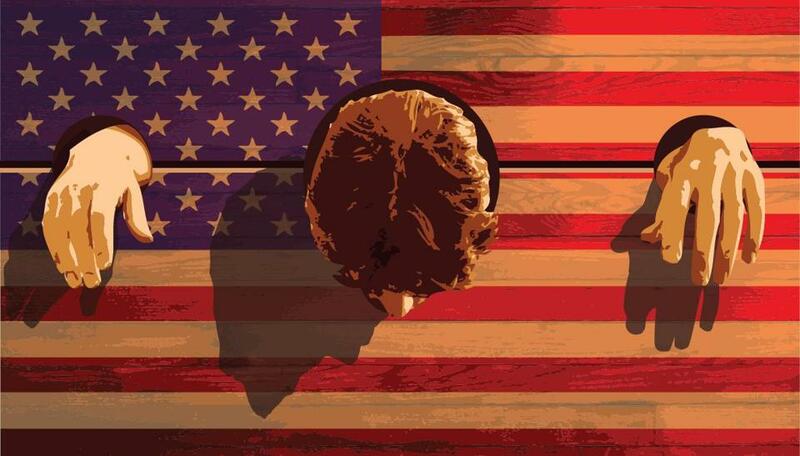 From torture to mass surveillance, the US intelligence apparatus has relied on complicity by foreign governments to carry out missions that most Americans would never tolerate back home. That may satisfy the Justice Department’s contrived legal analyses, but the CIA’s foreign black sites and the NSA’s “incidental” warrantless spying clearly go against the deepest values our country claims. That is true no matter where these programs are located or under what legal authority they operate. The longer these practices go on, the less and less the credibility the United States has as a democracy. The American government has so far refused to prosecute CIA torture or to close the loopholes in surveillance law. As the European Court of Human Rights’ ruling proves, however, the rest of the world is going ahead without us. In 2009, an Italian court convicted in absentia 23 American officials who abducted Egyptian cleric Abu Omar off the streets of Milan in 2003 and rendered him to Egypt, where he spent four years enduring torture while being held without trial. And last year, Brazil and Germany launched inquiries into NSA surveillance on their countries’ leaders and citizens. Those inquiries are admittedly weak, but in time expect strong action on mass surveillance from international courts and foreign governments. No longer willing to let the United States hide behind national security, the world is beginning to unearth our crimes and try them in open courts. Since scores of countries cooperated with CIA torture and NSA surveillance, it seems unlikely that Poland and Italy will be alone for very long. Ultimately, however, it is Americans who will have to rethink the hard distinction between foreign and domestic if we want to rein in the global war on terror and prevent these kinds of abuses in the future. That will take more than just admitting that we tortured some folks. Joshua Eaton works as an independent journalist in Boston.